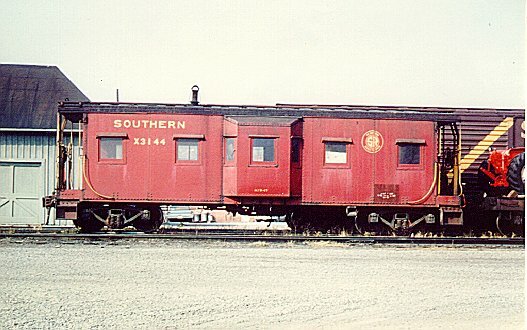 The Southern Railway owned several types of cabooses during the 20th century. Early in the century 4-wheel "bobbers" were common but during the teens and twenties they were replaced with woodside, center cupola cabs having doors on the side as well as the ends. These were later rebuilt without the side doors and additional cabs were built. 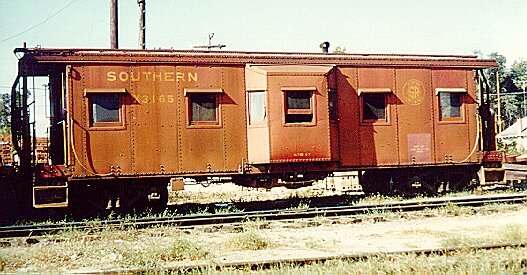 During WWII because of the need for even more equipment, the Southern converted a number of boxcars to cabs--some of which had bay windows. The bay window design became popular with the railway and eventually replaced the woodside cabs--by the 1960s the woodies were retired. 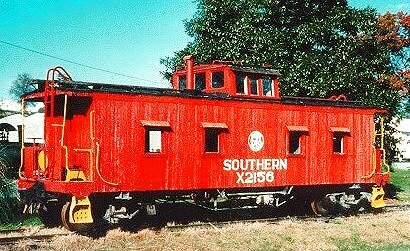 Many bay window cabs were bought or were donated by Norfolk Southern and numerous towns throughout the South have one on display. 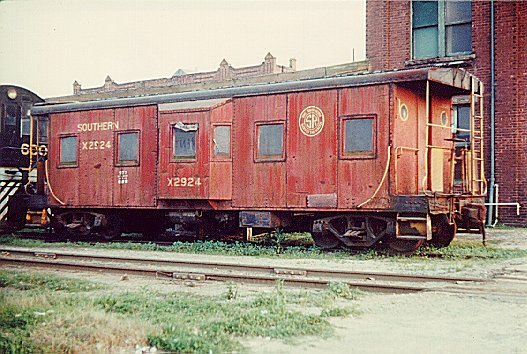 In addition to these mainline cabs Southern owned 27 transfer cabs. For more information on them click the button below. 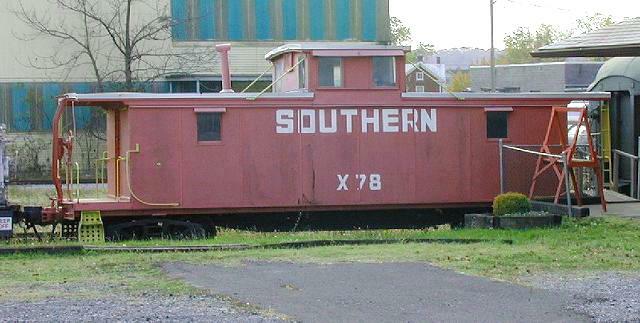 X2156 was built in 1915 and is now preserved at the Southeastern Railway Museum in Duluth, GA.
Caboose X2924 was constructed during WWII from a boxcar. 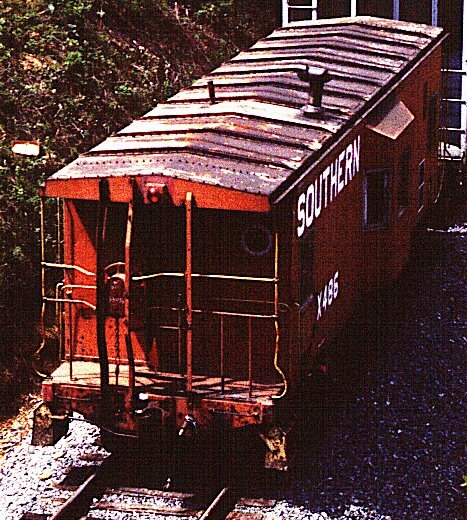 Note the rounded roof edges that are indicative of this class of cabooses. 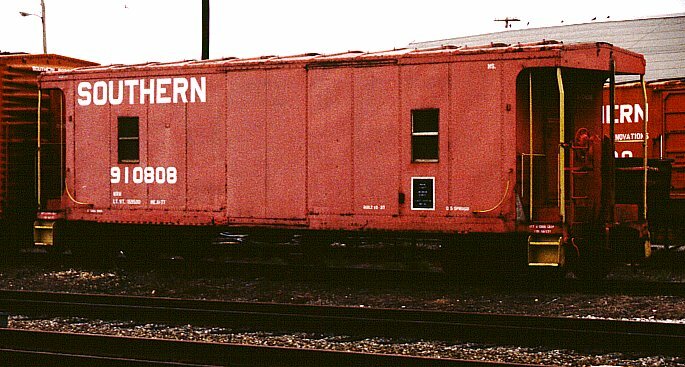 Caboose X3144 is a post-war product with a distinctive black roof and unlike X2924, freight trucks. The roadname lettering is a little longer also. 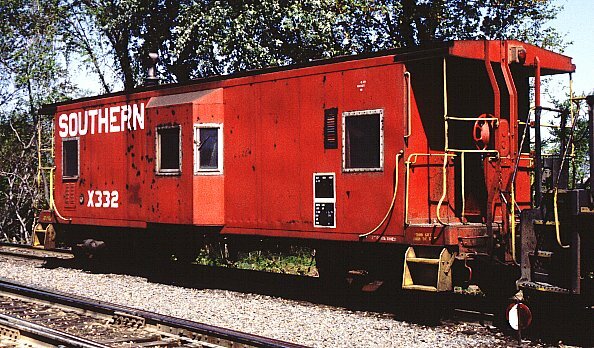 Caboose X3165 is another post-war product with a red roof and has faded to an orange hue in many areas. X332 was serving as a regular on the Manassas-Strasburg leg of the Harrisonburg Branch local in June 1988. This shot of X486 is not well lit but is does show off the roof. 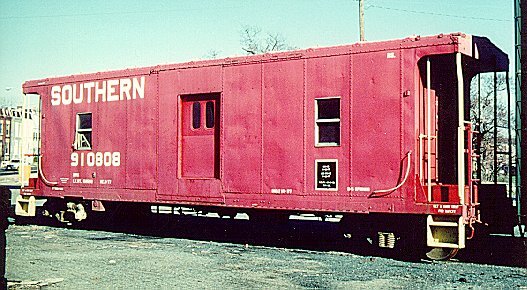 910808 was a Norfolk Southern cab built from a boxcar--you can still see where the door opening was. These were used on locals and then MOW in later years. Here's the other side of 910808. 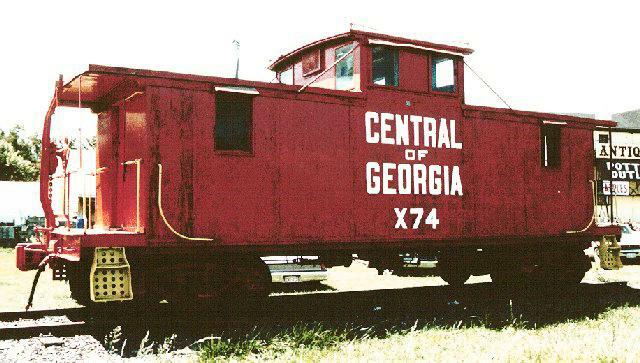 X74 is an ex-Central of Georgia wood cab. It was covered with steel. For many years it was on display in Sperryville, VA but has now been moved to a private farm for use as a hunting and fishing cabin. 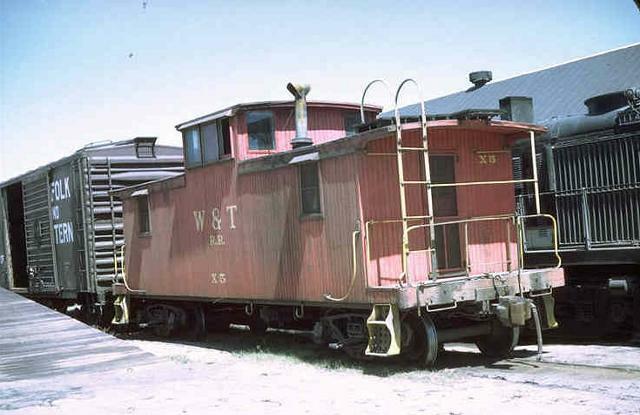 The W&T was owned by the Central of Georgia so X5 here is probably a good example of the CofG's wooden cabs. 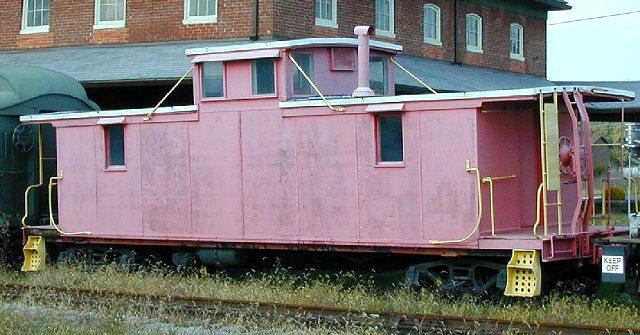 This ex-CofG caboose is located at the museum in Strasburg, Virginia. X78 is covered with plywood but appears to be of the same heritage as W&T X5. Here's the other side of X78.